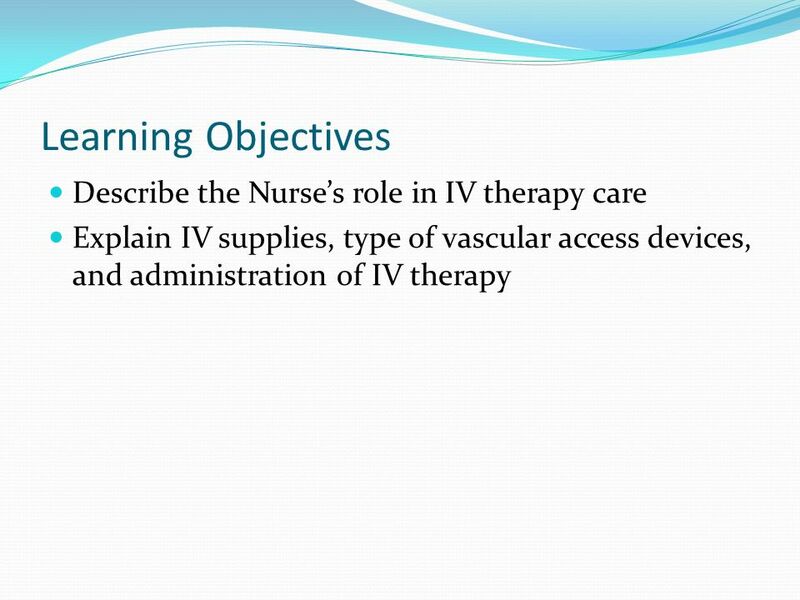 Explain IV supplies, type of vascular access devices, and administration of IV therapy The primary goal of IV therapy is to provide safe & effective care to patient’s, while maintaining a safe work environment for the nursing staff. Assessment Planning Implementation Evaluation. 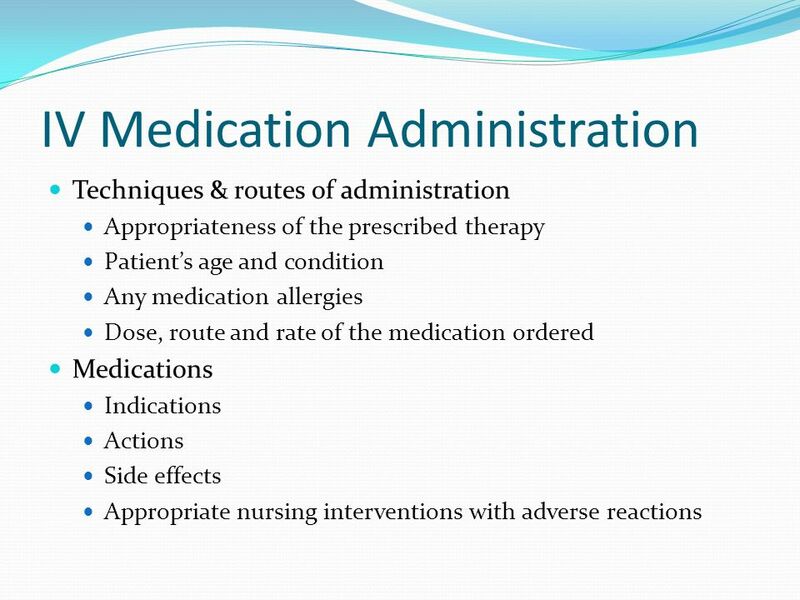 The first step is patient assessment, which includes the patient’s knowledge an experiences with Intravenous therapy, diagnosis, co-morbid conditions, activity level and mental state, as well as duration and type of therapy. 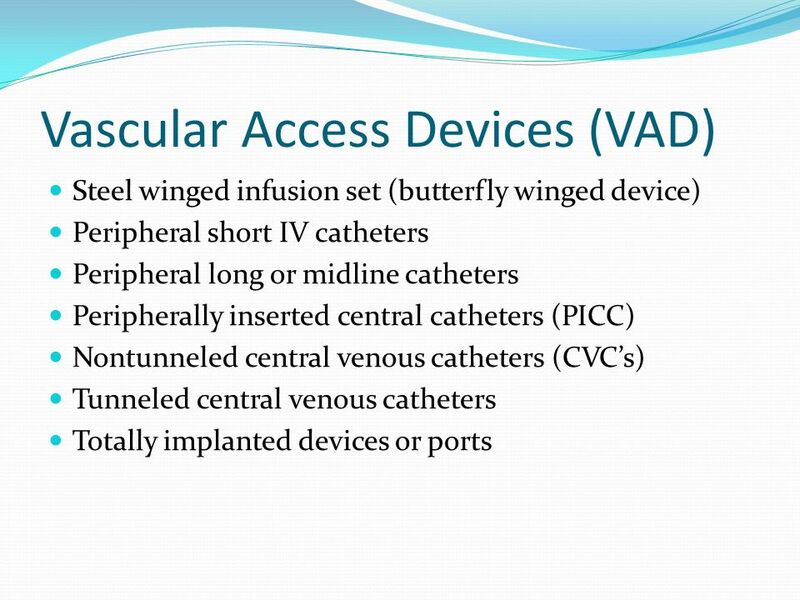 Planning includes identifications of the appropriate person to place the vascular access device (VAD), the type of VAD, and the dressing necessary for the VAD. Implementation includes preparing the patient, the environment and the equipment. 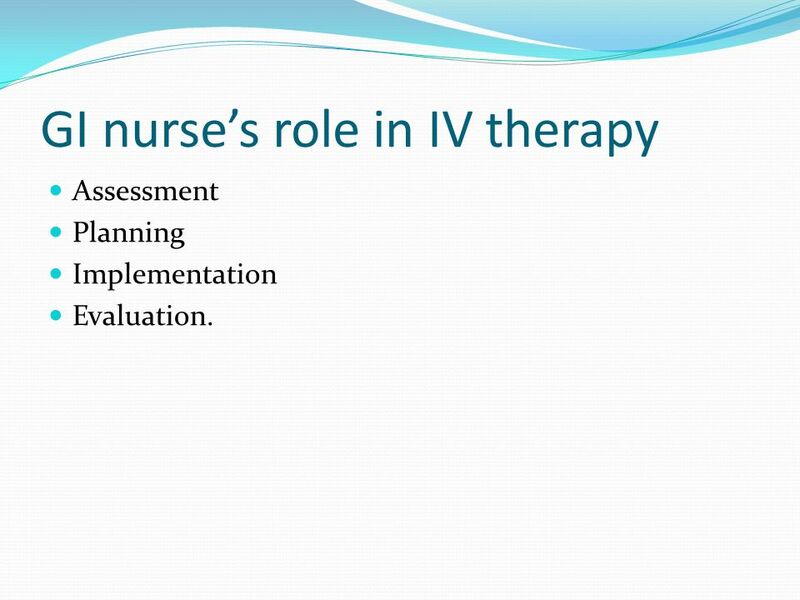 Evaluation includes determining the patient’s response/outcome to the IV therapy administered and revising the plan of care to achieve desirable outcomes. 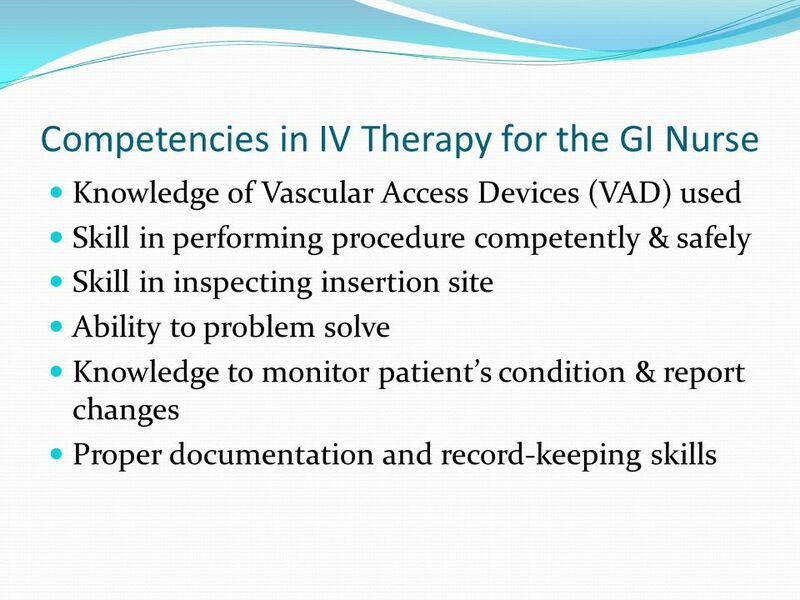 Knowledge of Vascular Access Devices (VAD) used Skill in performing procedure competently & safely Skill in inspecting insertion site Ability to problem solve Knowledge to monitor patient’s condition & report changes Proper documentation and record-keeping skills Identifying the patient and verifying the prescription Checking the infusion fluid, drug and container for any obvious faults or contamination Ensuring the administration of the prescribed drug or fluid to the correct patient via correct route Establishing that VAD is patent and comfortable for the patient Inspecting the insertion and acting on findings, problem solving as necessary Controlling the rate of flow as prescribed, using gravity or appropriate infusion device Monitoring the condition of the patient and reporting any changes Maintaining appropriate records. 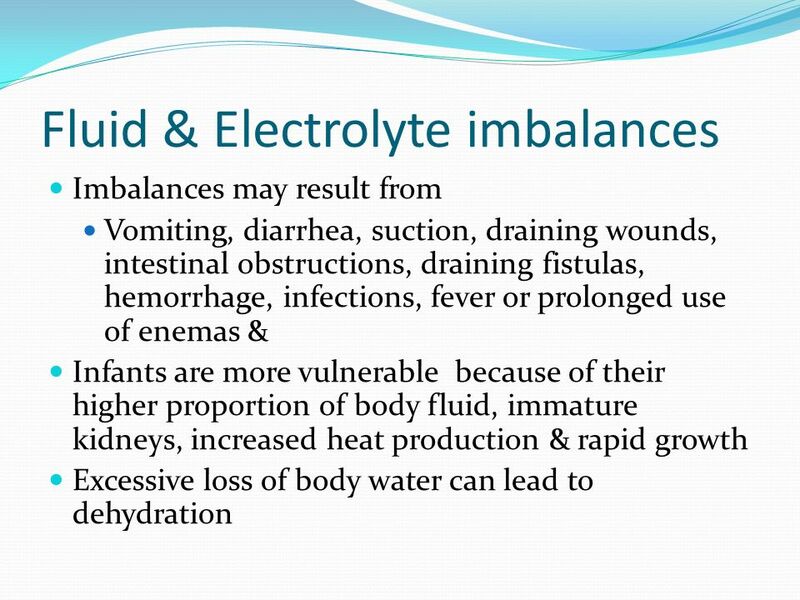 Imbalances may result from Vomiting, diarrhea, suction, draining wounds, intestinal obstructions, draining fistulas, hemorrhage, infections, fever or prolonged use of enemas & Infants are more vulnerable because of their higher proportion of body fluid, immature kidneys, increased heat production & rapid growth Excessive loss of body water can lead to dehydration The goal of nursing in dehydrated patients is to restore the circulating volume of fluid without causing overload. Careful observation, recording and reporting of the patient’s signs & symptoms and fluid intake and output are essential in such patients. 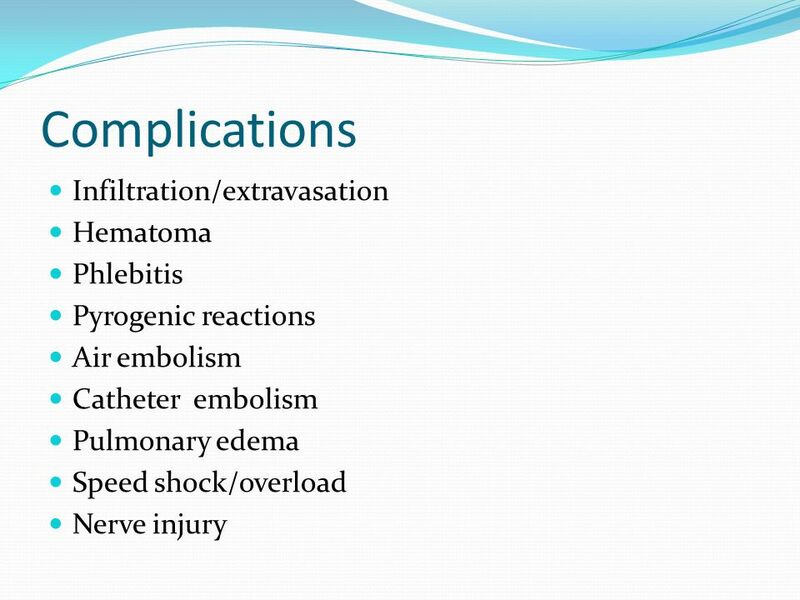 Patients should also be monitored for electrolyte disturbances. 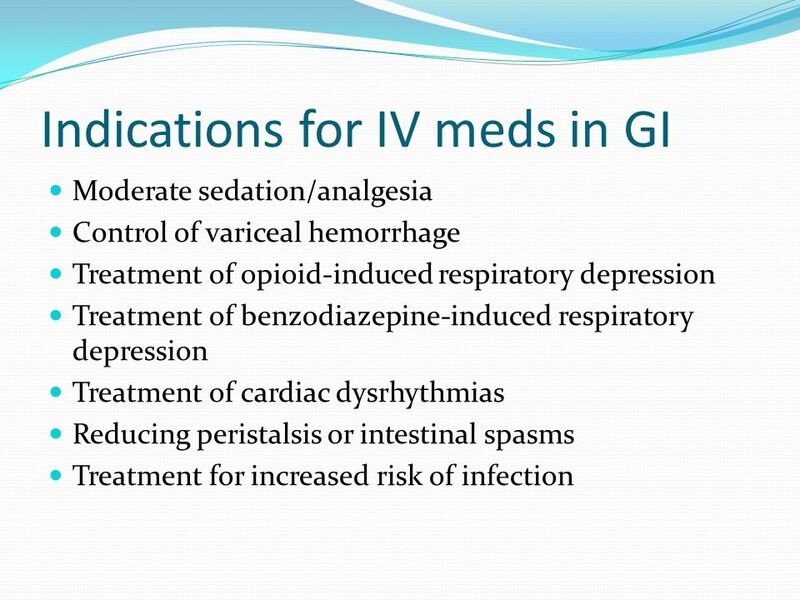 The most common electrolyte imbalance occurring in GI patients are excesses or deficits of chloride, magnesium, sodium, potassium, bicarbonate, calcium and hydrogen ions. Systemic observations to detect fluid and electrolyte imbalances include Changes in temperature, pulse rate, respirations and blood pressure. Changes in skin & mucous membranes, and/or changes in speech, behavior, facial appearance, skeletal muscle, sensations, fatigue and body weight are also significant. 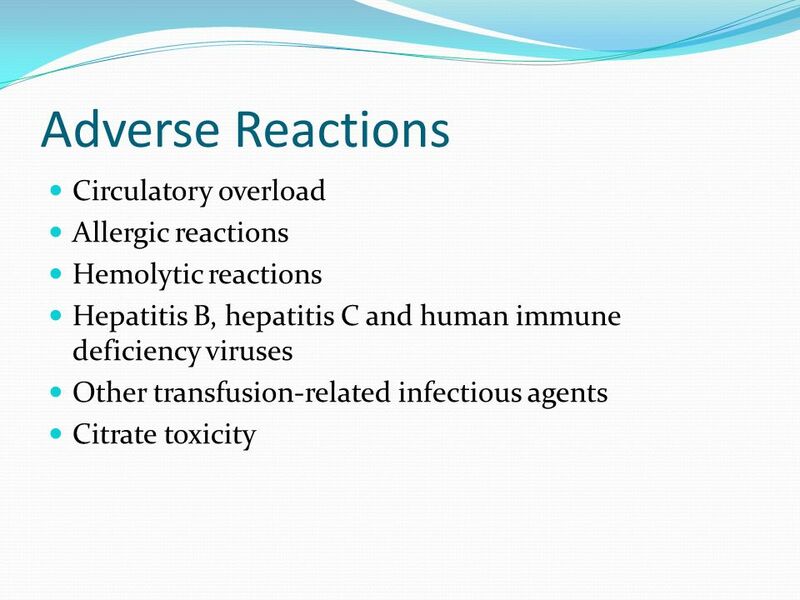 All IV solutions are considered medications Requires a Dr.’s order Types of Solutions Isotonic Solutions 0.9% NS or LR Hypotonic Solutions 0.45% NaCl Hypertonic Solutions 3% NaCl or 10%Dextrose One way of correcting fluid & electrolyte disturbances is by IV administration of solutions containing necessary electrolytes & nutrients. 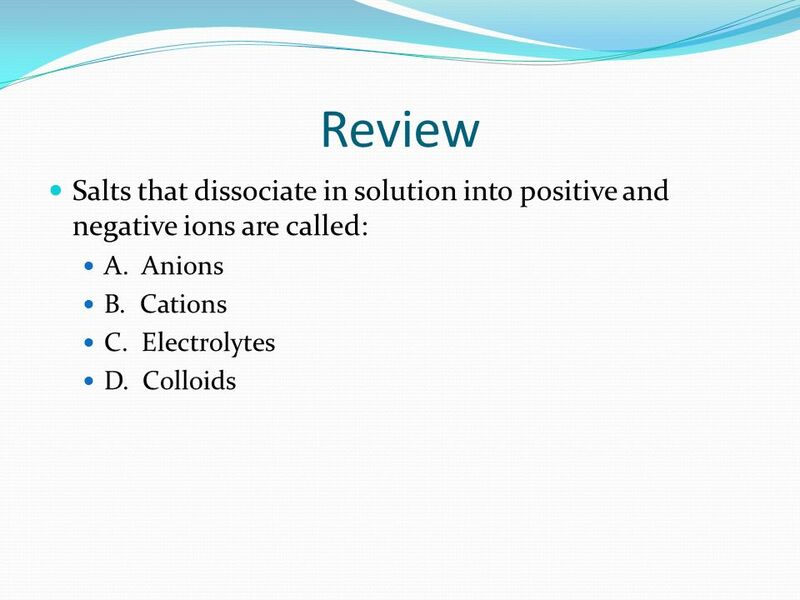 Isotonic solutions have the same concentration of solutes as the ICF or ECF. These include normal saline solution and lactated ringers. Hypotonic solutions have a lower concentration of solutes and are more dilute than body fluids, causing water to pull into the cells. An example of a hypotonic solution is 0.45% NaCl. Hypertonic solutions contain a higher concentration of solutes than the intracellular space, and cause water to be pulled from the cells. Injury Disease transmission Spills Splashes Because universal precautions require use of gloves when dealing with blood and body fluids, development of latex allergies pose a concern for health care workers and patients The Needlestick Safety and Prevention Act became law in April This law required healthcare facilities to select and implement safer medical devices to protect health care workers from needlestick injuries. 11 Latex allergies Individuals who develop burning or tingling around mouth after blowing up latex balloons Known allergy to Bananas Avocados Potatoes Tomatoes Poinsettias History of contact dermatitis History of asthma History of eczema Latex allergies have become a serious health issue among health care workers at all levels. 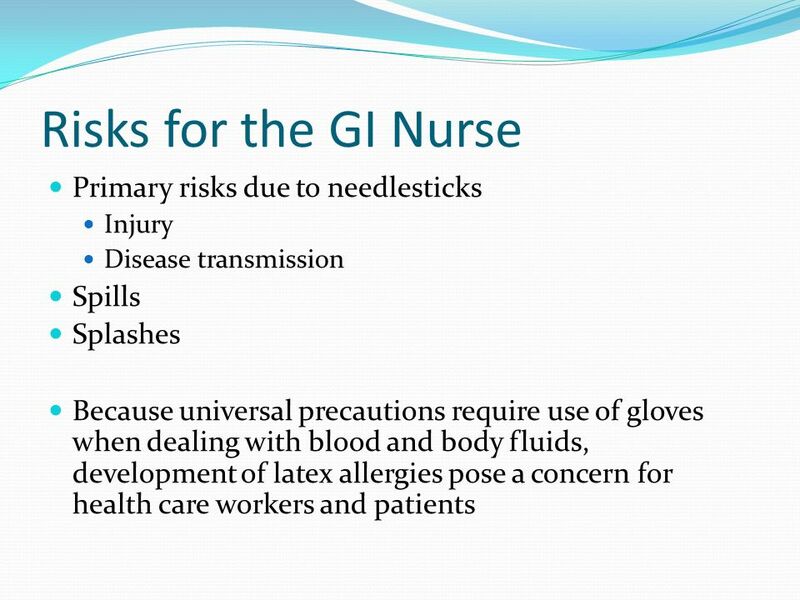 Nurses must also be aware that patients have the potential of being allergic to or developing latex allergy, particularly those patients with spina bifida or those with a history of multiple surgical procedures. 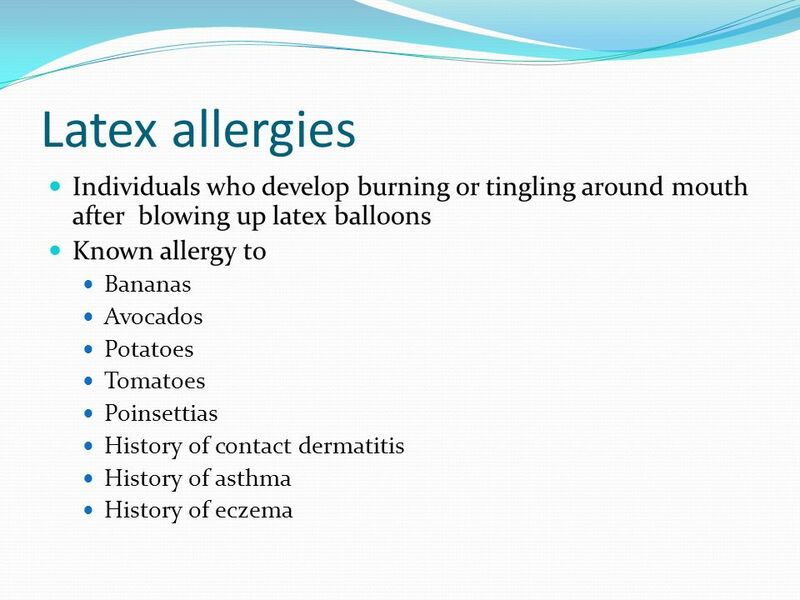 The following list of allergies put patients at a higher risk for an allergy to latex. A. They are incompatible. B. It complicates determination of the source of any adverse reaction. 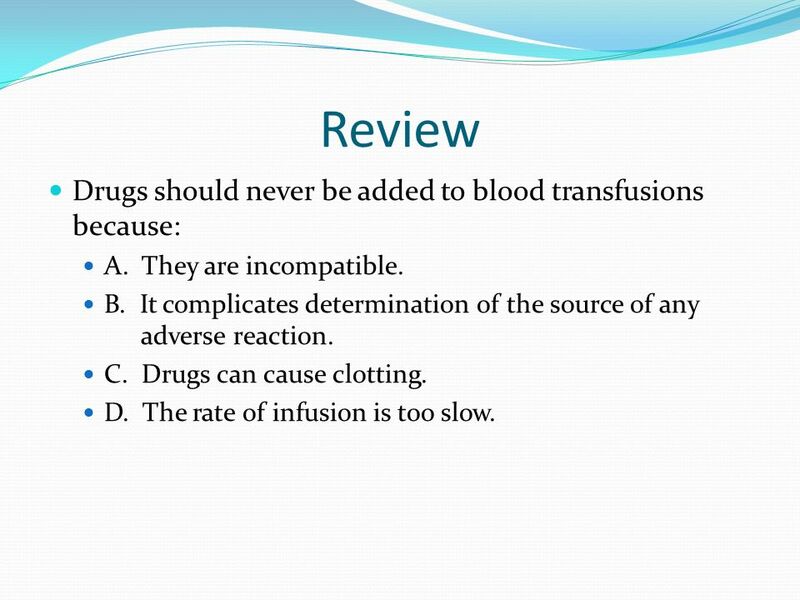 C. Drugs can cause clotting. D. The rate of infusion is too slow. 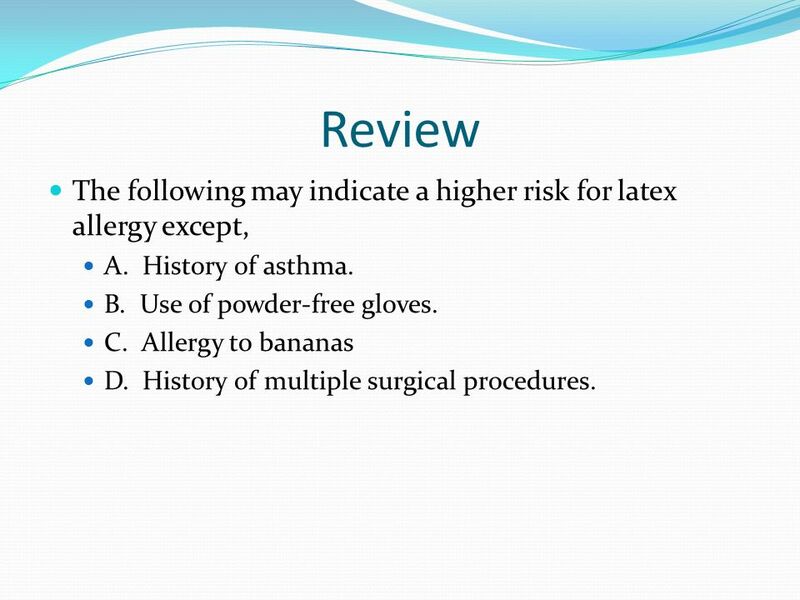 22 Review The following may indicate a higher risk for latex allergy except, A. History of asthma. B. Use of powder-free gloves. 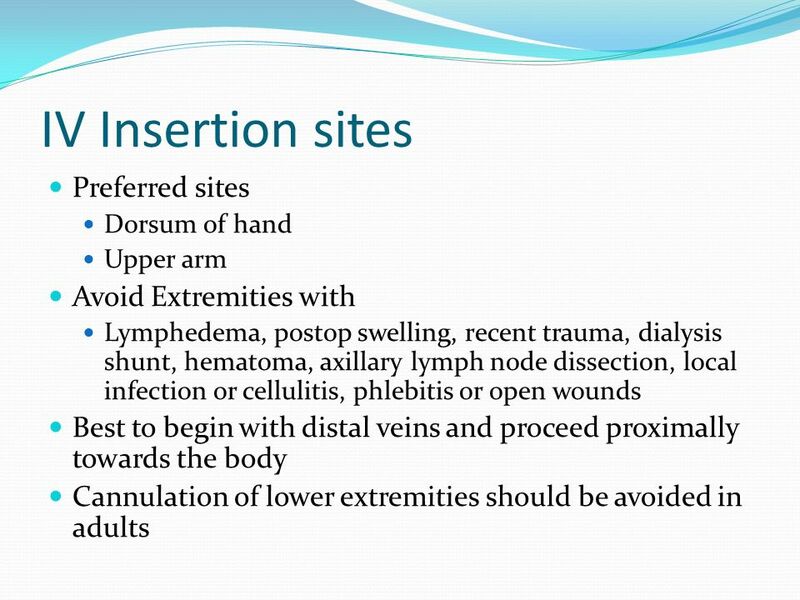 C. Allergy to bananas D. History of multiple surgical procedures. A. Immediately B. Within the first 5 to 15 minutes of the transfusion. C. Within 24 hours. 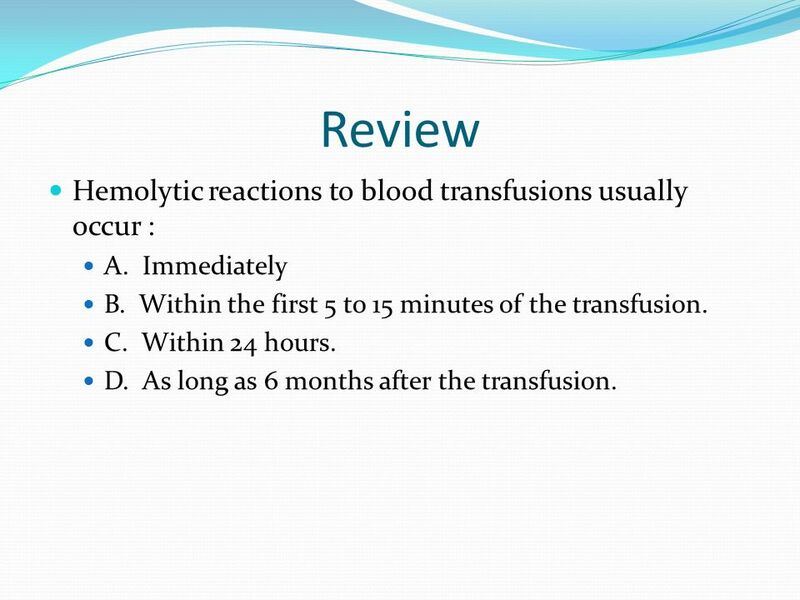 D. As long as 6 months after the transfusion. 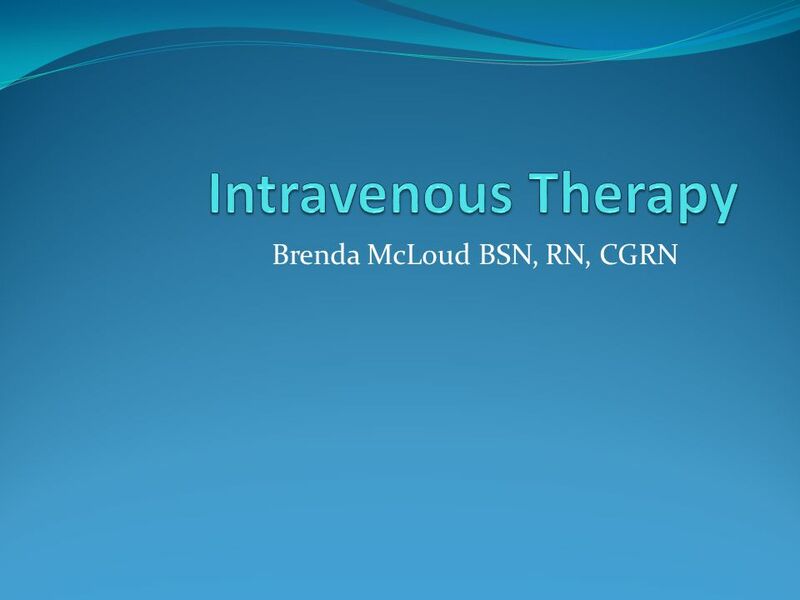 Download ppt "Brenda McLoud BSN, RN, CGRN"
WHUt we gonNA dU IV Maintenance Bleeding and Shock Chs 22 & 23 Soft Tissue Injuries Ch 24 Chest Injuries Ch 27 Injuries to ABD and Genitalia Ch 28. 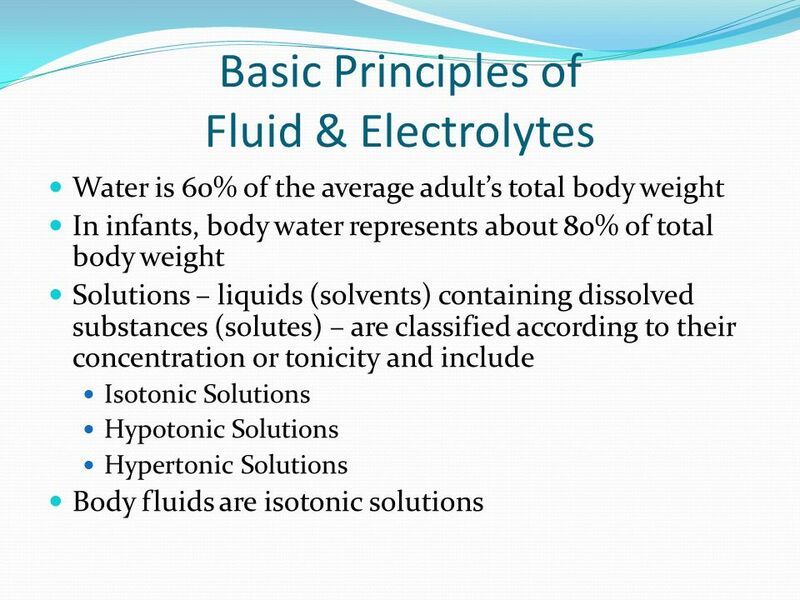 Water and Electrolyte Balance. 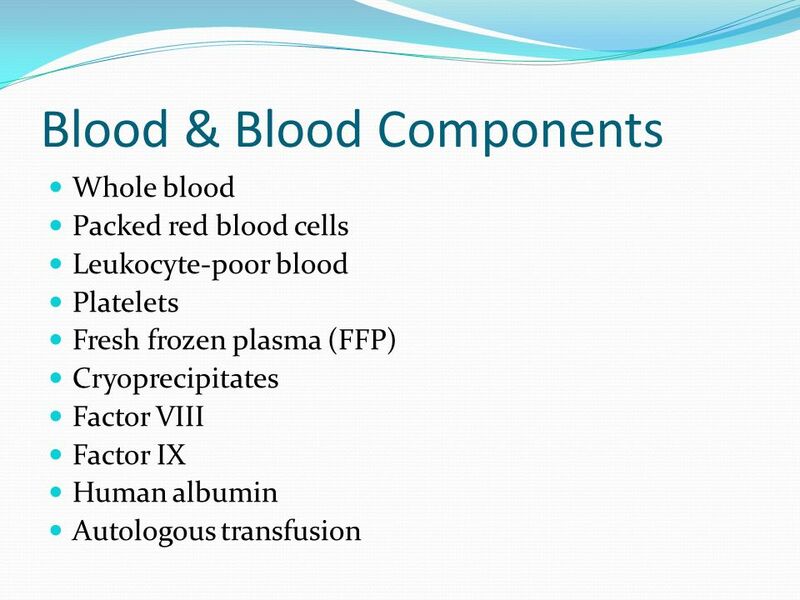 Water 60% - 90% of BW in most life forms 2/3 intracellular fluid 1/3 extracellular fluid –plasma –lymph –interstitial fluid. 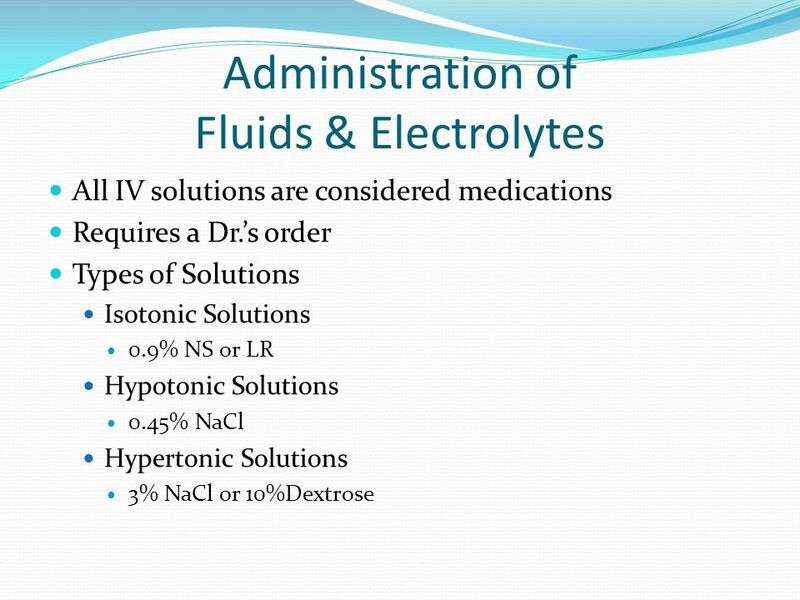 Fluids & Electrolytes, and Metabolism Nestor T. Hilvano, M.D., M.P.H. (Illustrations Copyright by Frederic H. Martini, Pearson Publication Inc., and The. Water & The Body Fluids 60% of adult body weight -Water makes up ¾ of the weight of lean tissue -Water makes up ¼ of the weight of fat Copyright 2005. Mosby items and derived items © 2011, 2007, 2004 by Mosby, Inc., an affiliate of Elsevier Inc. CHAPTER 27 Fluids and Electrolytes. Elsevier items and derived items © 2007, 2003, 2000 by Saunders, an imprint of Elsevier Inc. Slide 1 Chapter 25 Water, Electrolyte, and Acid-Base Balance. 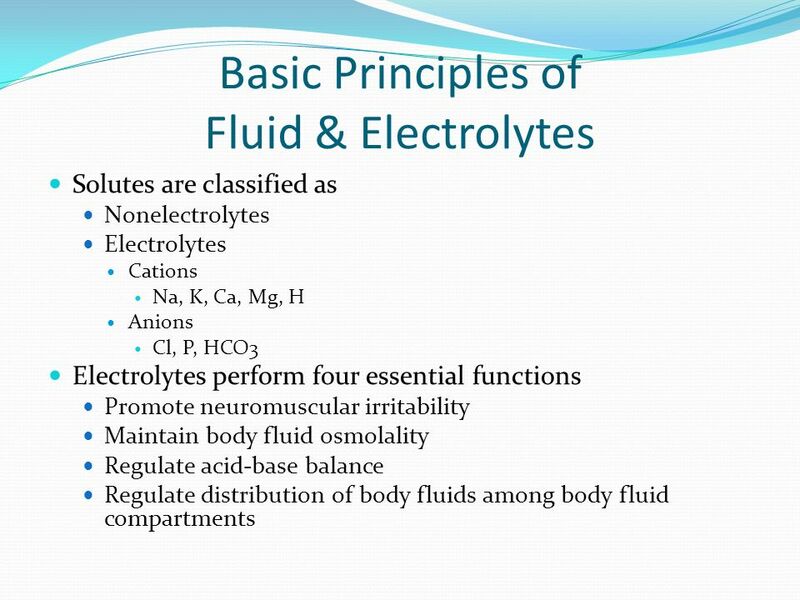 Fluid and Electrolyte Balance. 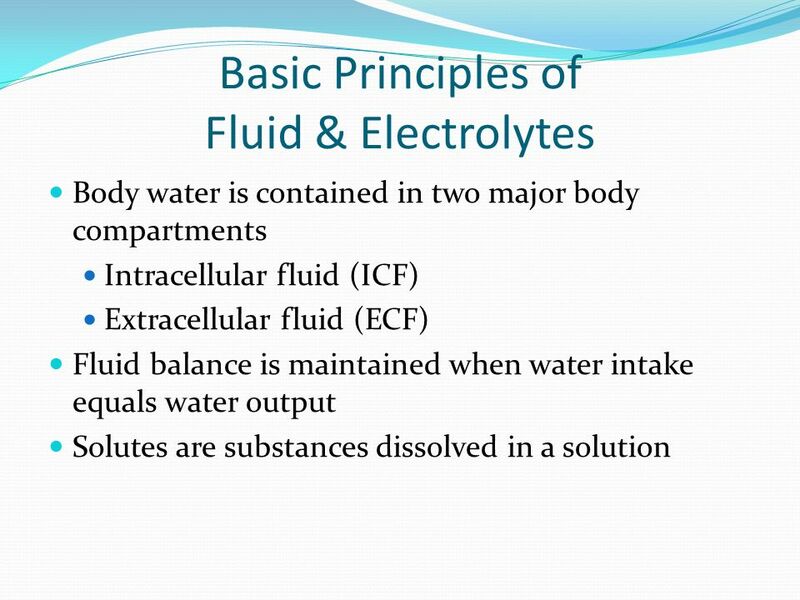 Fluid Balance  relative constancy of body fluid levels  homeostasis Electrolytes  substances such as salts that dissolve. Nadin Abdel Razeq, PhD. 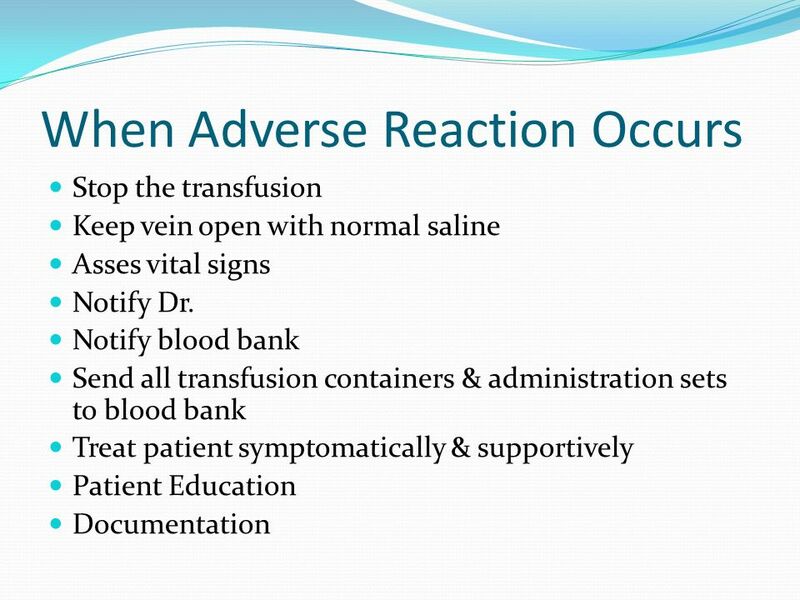 Objectives To gain awareness of the proper procedure of peripheral IV access in pediatrics To review types of IV fluids used in. Linda S. Williams / Paula D. Hopper Copyright © 2011. F.A. Davis Company Understanding Medical Surgical Nursing, 4th Edition Chapter 7 Nursing Care of.